Long-term client Inclusion promote social inclusion in the labour market. 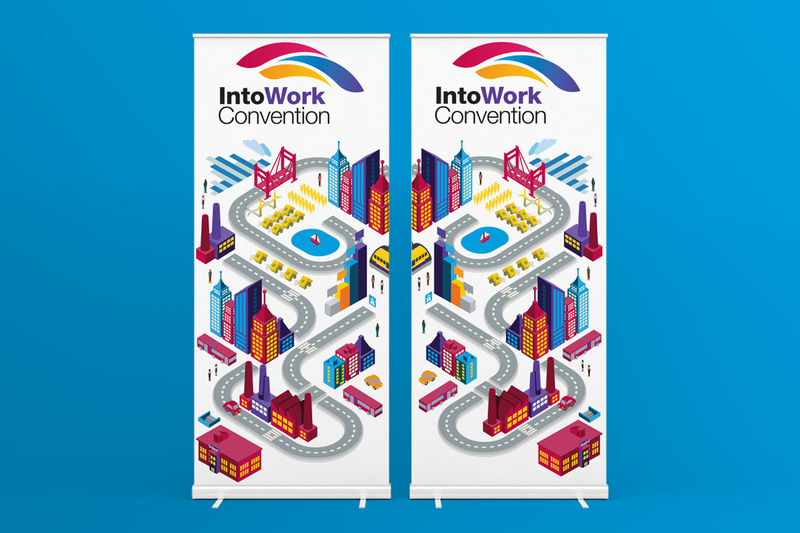 They invited us to design the branding for 2015’s IntoWork Convention. The brief specified strong use of colour and bold graphics. 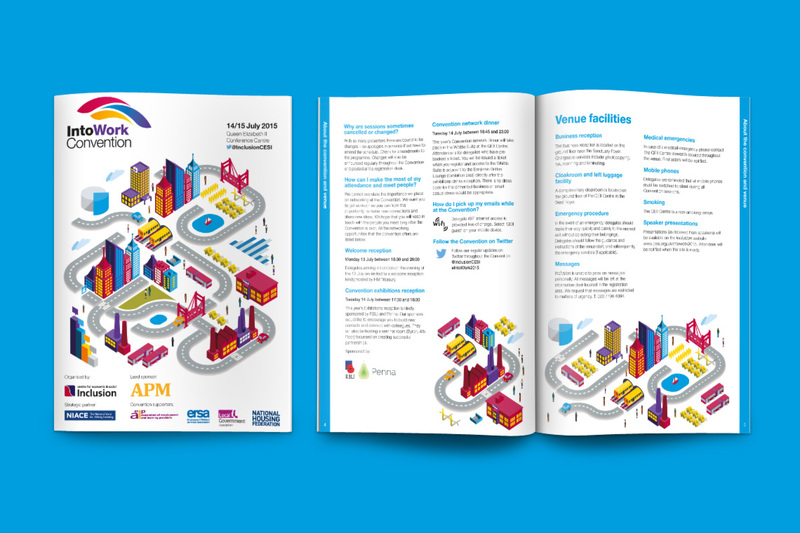 We created a modular isometric cityscape which could be adapted and re-arranged to promote the event in many different formats: leaflets, posters, backdrops and emails.